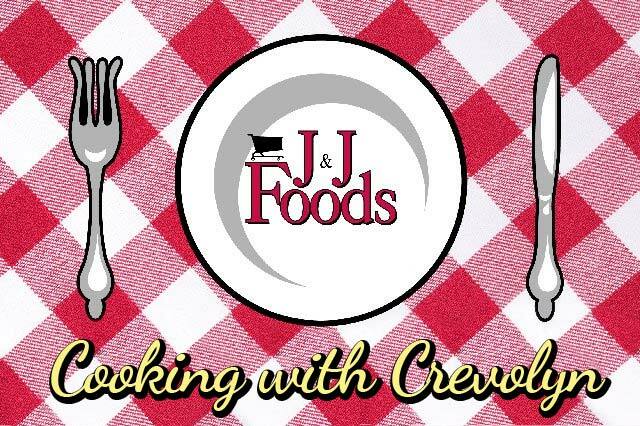 J&J Foods’ first day of business was on June 21st 1976, however its beginnings were much earlier. J&J’s founder, Johnnie Wiley first worked in a grocery store as a 12-year old. He began by helping his uncle Henry Smith in his small store in rural Hall County. Johnnie’s experience working with his uncle ended when the store was sold but it wasn’t long before Johnnie took a job with a new store in 1952, Greenways’s Superette. Johnnie learned the fundamentals of running a store from Dana Greenway before becoming the store’s full-time meat cutter. Johnnie left Greenway’s in 1958 to work for the Merita Bread Company. While still connected to the Grocery industry as a deliveryman, it just wasn’t the same. Johnnie spoke with another uncle, Floyd Smith, who operated a small grocery store and service station near Gainesville. 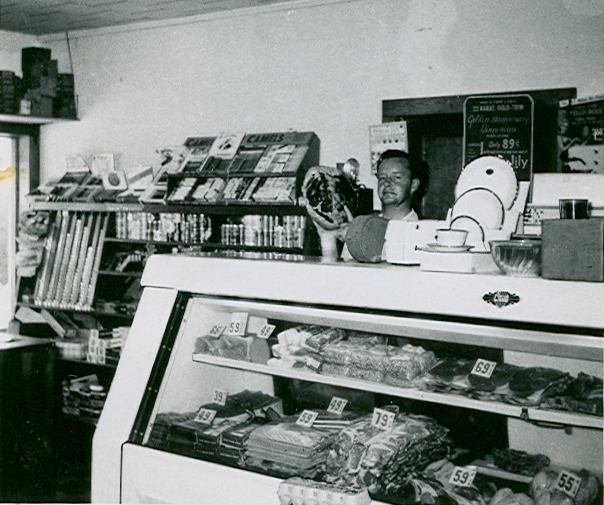 Johnnie arranged to purchase the store in 1960 and began his career as an entrepreneur, calling his first business, Wiley’s Grocery Store. The store taught Johnnie much about business, but no lesson was more important than the value of taking care of customers. After two years of operating Wiley’s Grocery Store, Johnnie sold the store and left the grocery business for a few years, taking a job with the U.S. Postal Service. While a postman, Johnnie worked multiple part-time jobs to save enough money for another business venture. He spent a year working for West Lumber Company as a salesman and another year owning a small grocery store called S&W One Stop. After 10 years as a mailman, Johnnie joined with his brother-in-law, Junior Reece, to purchase Holiday Supermarket on McEver Road in Oakwood. Johnnie and Junior quickly built a strong business at Holiday and began to look for other opportunities. Johnnie had heard that Warehouse Foods in Gainesville was for sale and after a few phone calls, negotiations to purchase the store began. At the same time, the former owner of Holiday Supermarket expressed interest in buying his old store back. The deals to sell Holiday Supermarket and purchase Warehouse Foods occurred within minutes of each other. Johnnie and Arrie Mae Wiley, along with Junior and Shirley Reece took their business experience from the small store in Oakwood to the much larger store in Gainesville. Using the first letters of Johnnie and Junior’s names, they called the store J&J Foods. The new store was slow to start and after only five months, Junior sold his interest in the company and Johnnie became the sole proprietor. Months passed and the business began to grow. By 1980, the fifteen thousand square foot store that had seemed large in 1976 was becoming unbearably cramped. Johnnie purchased the adjacent building, expanding the sales area to twenty-four thousand square feet. The new store featured more and expanded departments. Johnnie's son Darrell worked with his father at Holiday Supermarket in the mid 70’s and continued working at J&J Foods while attending Truett-McConnell College. Darrell left Georgia in 1978 to complete his degree in music at Belmont University. He returned to Georgia in 1984 where he started two businesses, a retail music store and a professional audio design and installation company. Darrell sold both companies when Johnnie experienced health problems in 1990, and he returned to work in the family grocery business. With business growing and a strong leadership team in place, J&J began looking to expand into other areas of Hall County. Demographics were studied and plans were formulated to open another store. At about the same time, Winn Dixie announced their decision to leave the area. J&J immediately placed development plans on hold to focus on pursuing the purchase of Winn Dixie’s Limestone Parkway location. Lengthy negotiations with Winn Dixie failed. Additional negotiations with a developer also failed. Just days after the second attempt to purchase the store failed, a long time family friend introduced J&J to a retailer in Stockbridge, Georgia. This retailer had purchased multiple Winn Dixie stores and wanted to sell the Gainesville location. After a few phone calls and a couple of visits, the store was purchased, signs were changed and J&J Foods opened its third location on August 15th, 2005. Over the years, suppliers, associates, locations, and technology have all changed. One thing that hasn’t changed is that J&J is still a family owned and operated business. The owners, Johnnie Wiley, Darrell Wiley, and Vickie Wiley Willis, are humbled by the continued loyalty and support of the communities they serve. Thirty-five years later, J&J is still committed to honoring the principles on which the company was founded. To be the favorite grocery store with the freshest foods in the communities we serve!